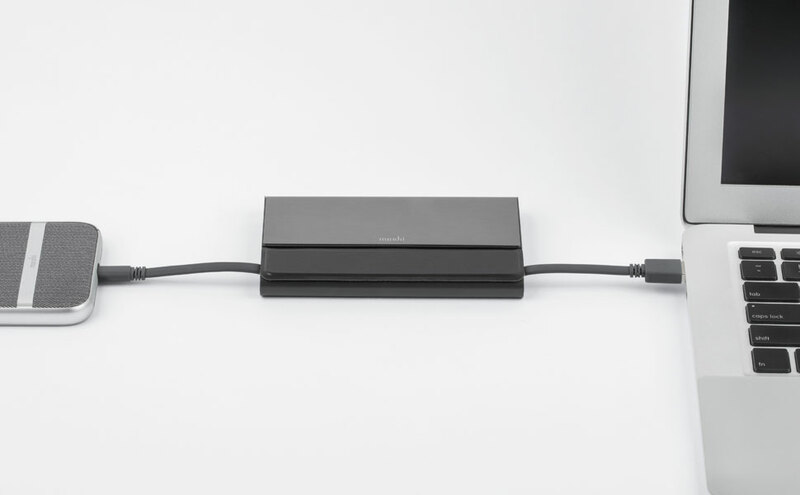 A truly sleek design with built-in Lightning and USB connectors. 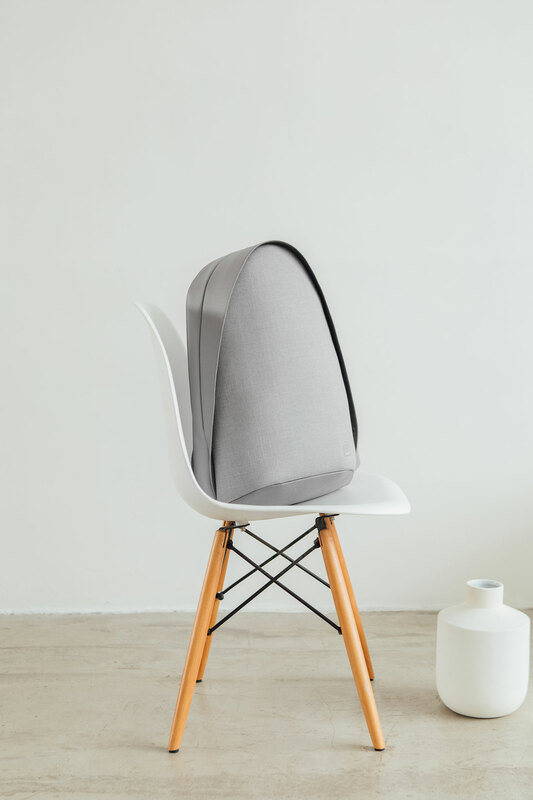 No dangling cables so you can power up quickly and in style. Featuring aircraft-grade aluminum with vegan leather accents. This is a limited edition color in collaboration with designer Jason Wu. It outputs at 2.4 amps for quick-charging. 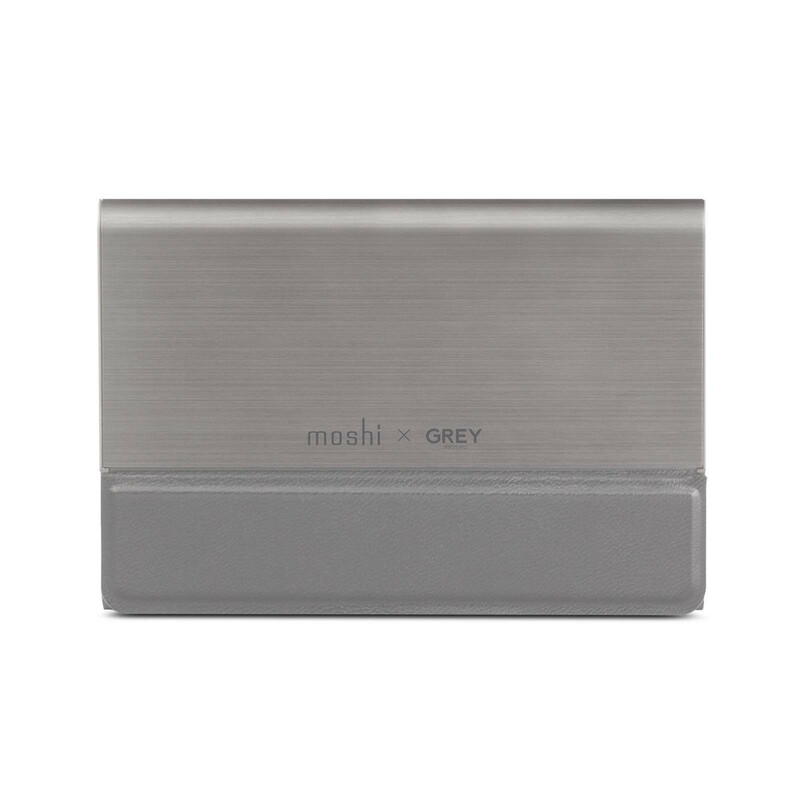 Power up with Moshi's IonBank 5K, a slim, stylish portable battery designed with anodized aluminum and vegan leather accents. 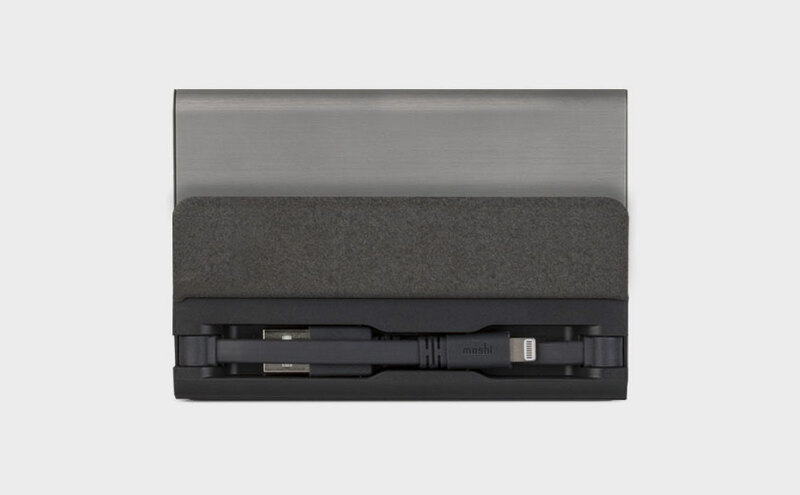 Unlike most battery packs which require you to carry extra cables, IonBank includes hideaway Lightning and USB cables that minimize clutter while on-the-go. 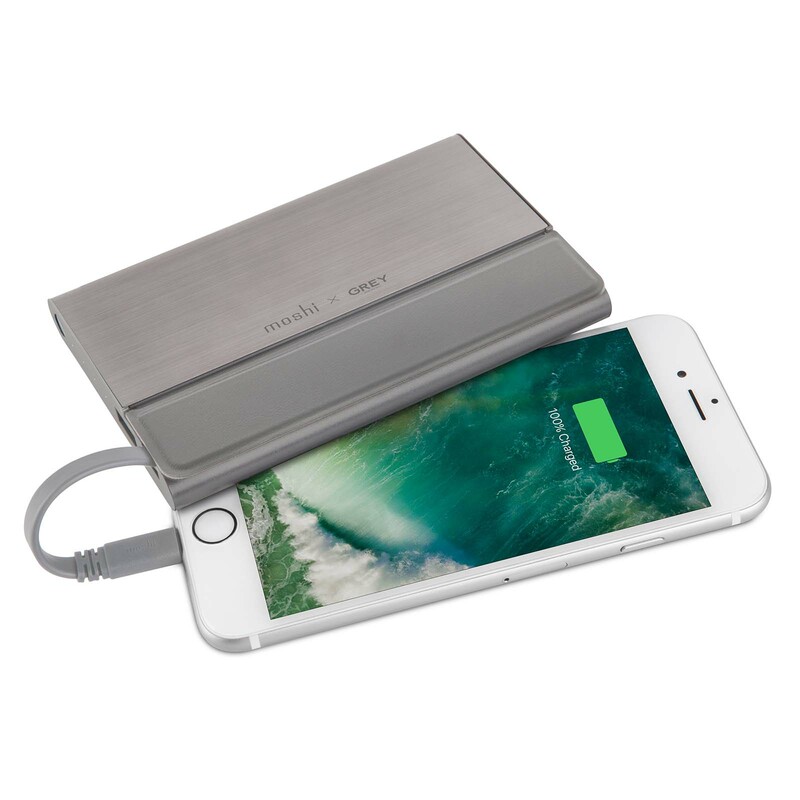 IonBank 5K uses the latest in lithium-polymer technology to deliver a capacity of 5,150 mAh, enough to recharge your iPhone 6s up to 2 times. 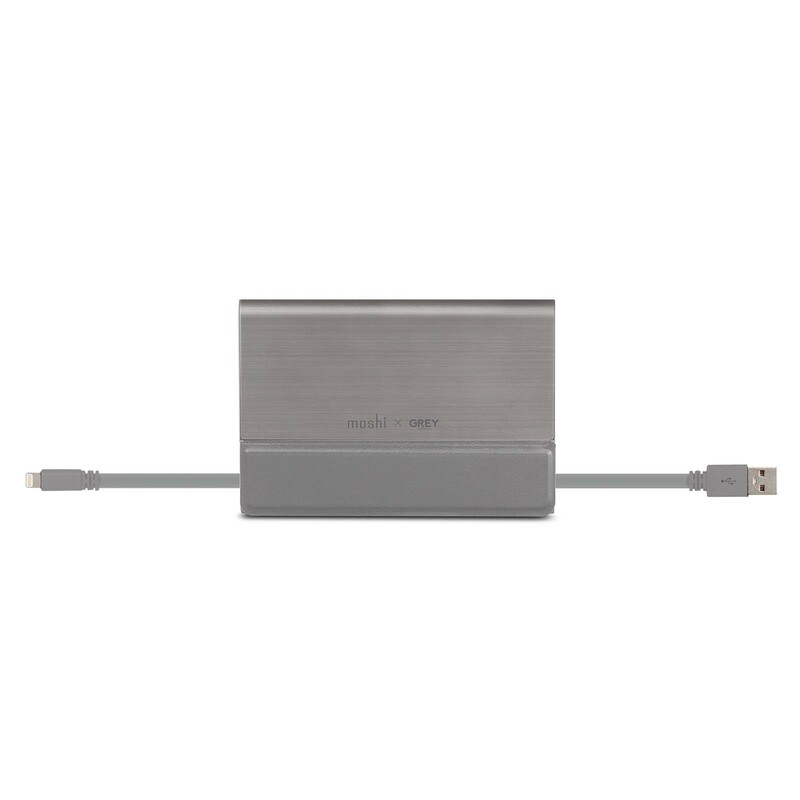 It outputs at 2.4 amps for quick-charging of any connected device. SmartSense™ circuitry prioritizes charging your iOS device first and funnels extra current to recharge IonBank at the same time. 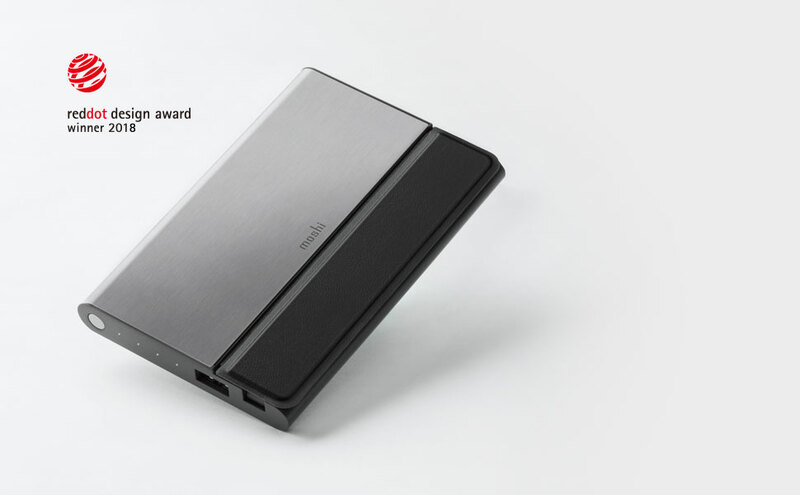 Advanced features and premium construction make IonBank the premier choice for users looking for the very best in portable charging. 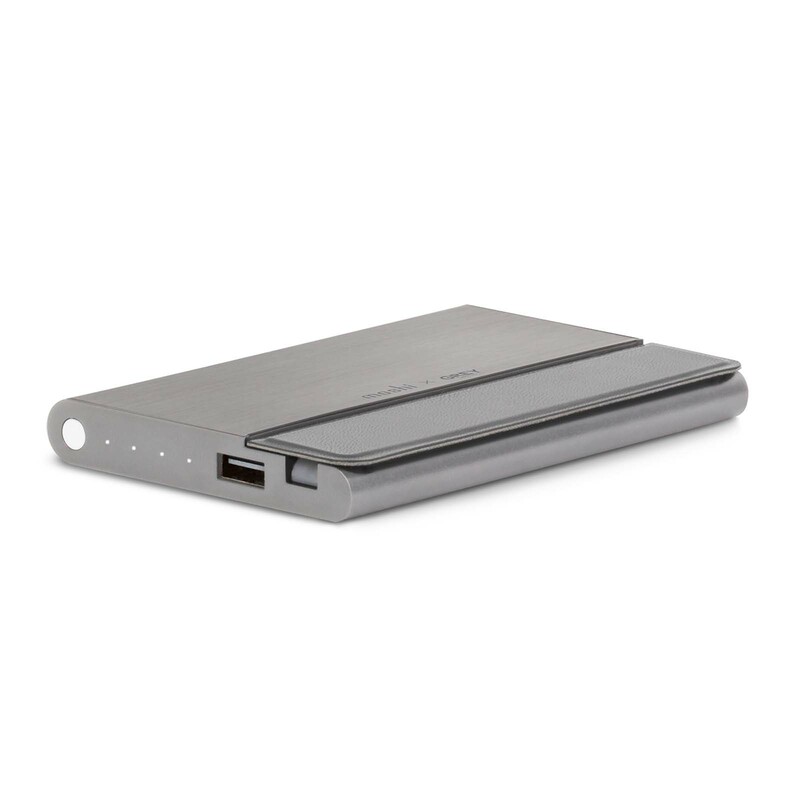 This limited edition IonBank 5K portable battery is part of a collection created in collaboration with New York fashion designer Jason Wu’s sister label, GREY Jason Wu. IonBank 5K x GREY Jason Wu launched at the designer’s pop-up store at the Cadillac House in New York and is part of Jason’s collection of favorite brands adorned in his custom Pantone gray. 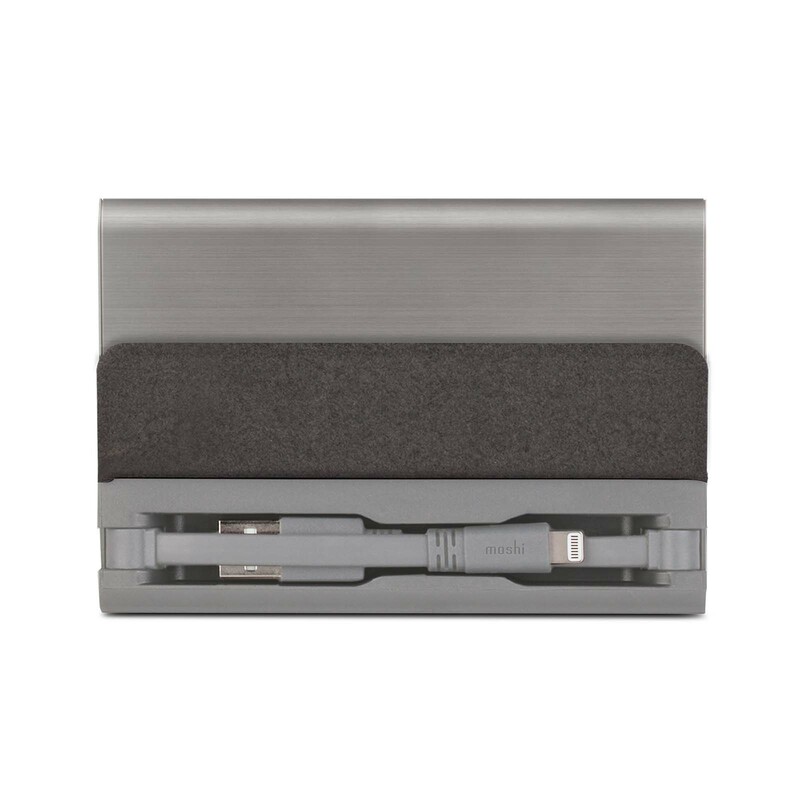 Hideaway Lightning cable with a sleek folding design for easy storage. Hideaway USB cable for convenient recharging: anytime, anywhere. Fast-charging at 2.4 amps (17 watts total). 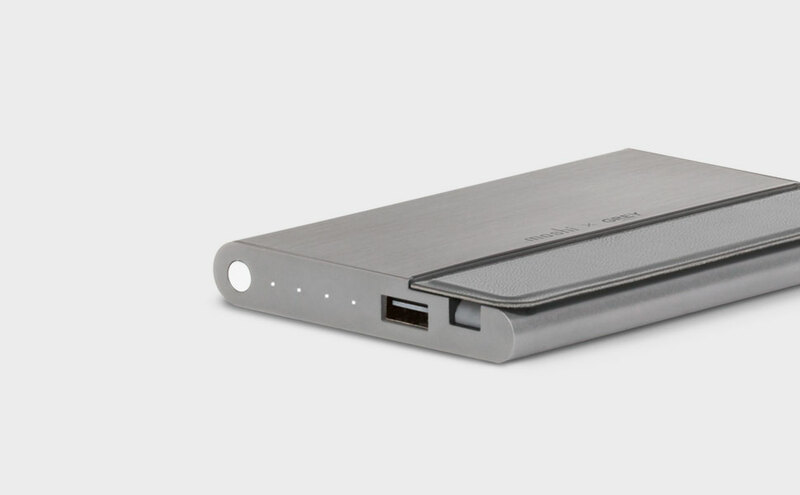 Charge your iPhone up to 2 times with 5,150 mAh lithium-polymer cells.